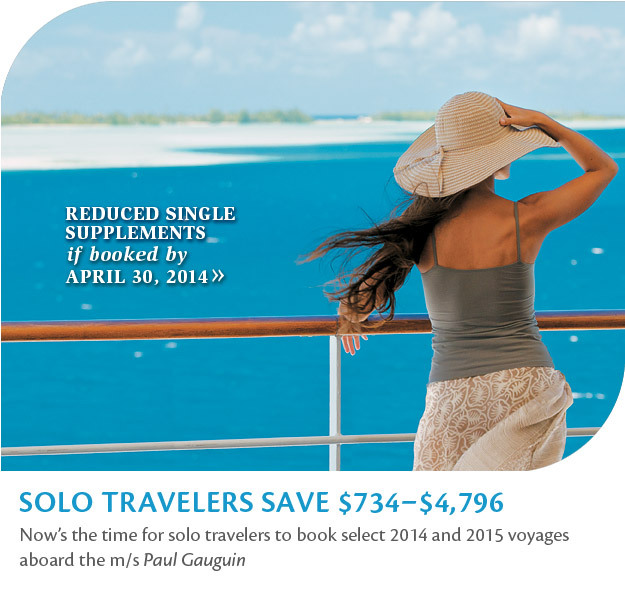 Paul Gauguin Cruises has just reduced the single supplement for select 2014 and 2015 sailings aboard the deluxe m/s Paul Gauguin! Instead of a 100% single supplement in categories F through C, solo travelers will enjoy a reduced rate as they cruise in luxury to coveted warm-weather getaways in French Polynesia and the South Pacific. 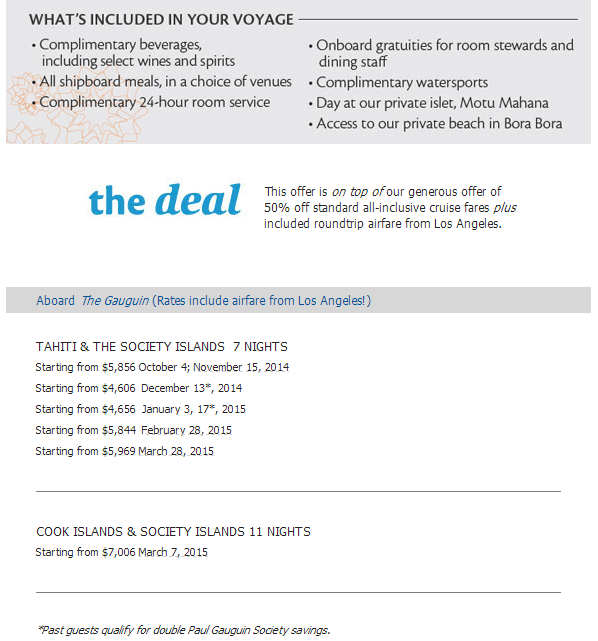 Offer includes roundtrip airfare from Los Angeles!